KayKiSpeaks.com: She's Baaaack! Adele releases New Video for Single, 'Hello' From Highly Anticipated New album, "25"
Adele did all of that and then seemingly fell off the face of the earth..sort of like Lauryn Hill did after her initial success. Adele had a baby and lived her own life for a bit..which I can respect. Fans have been waiting with bated breath for the songbird to reemerge and take the music scene by storm again.. well, wait no more! Just days ago Adele announced she would be releasing a new album, "25" this year! According to her this album is themed differently than the one she made at 21-that makes perfect since, a lot can happen in those 4 years. To all of our surprise, just after the announcement we started to see snippets of a brand new video for a song called, Hello. Then last night, Adele released the full visual for the song making it her official return to music! Actor Tristan Wilds snagged the lead role in the video opposite Adele, who sings of trying to speak to a lover she can't reach anymore. Adele is gorgeous (she reminds me so much of my homegirl Ziggy! ), she sounds better than ever, and she seems to be an incredible actor! I must admit, I was not one of the people who fangirled over Adele initially, but I am really digging this song, and the visual! Make a fan out of me Adele!!! 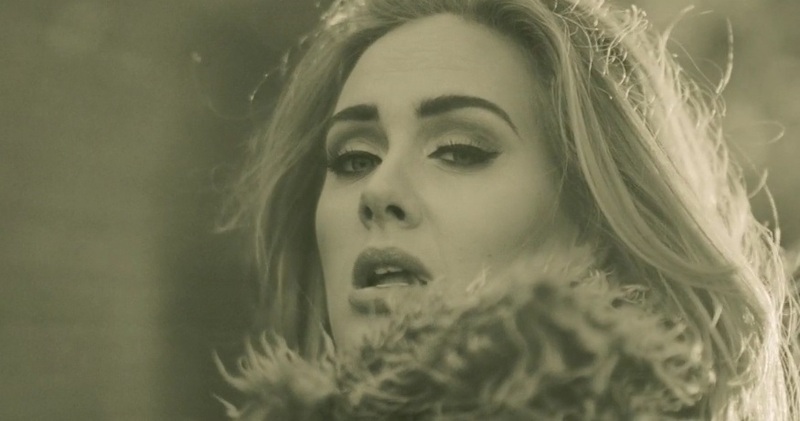 Check out Adele's new video- Hello below, and get your coins ready.. 25 is due to drop November 20th! Lets watch this reign continue!